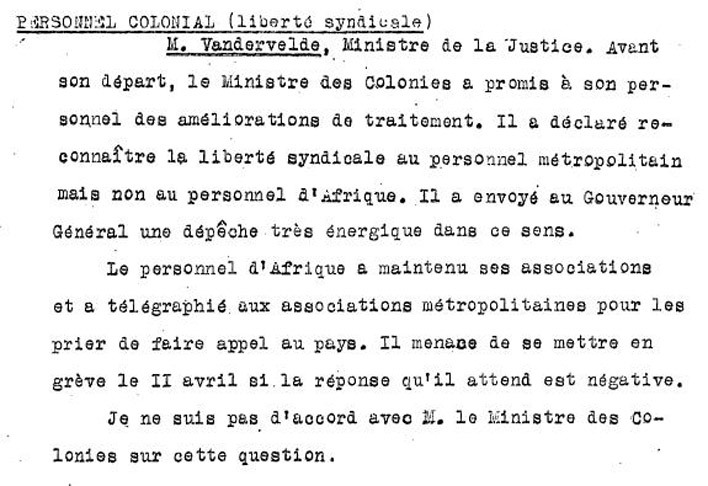 For fear of schowing a "bad" example to the African population, labour unions were not allowed in the colony, neither for Africans nor for civil servants of European employees of businesses. NAB, Archives of the Council of Ministers. Notules of the meetings, 29 March 1920 (Delacroix government).